The inaugural Philippa Guinness Trophy took place in Limerick on Monday, 21st November. 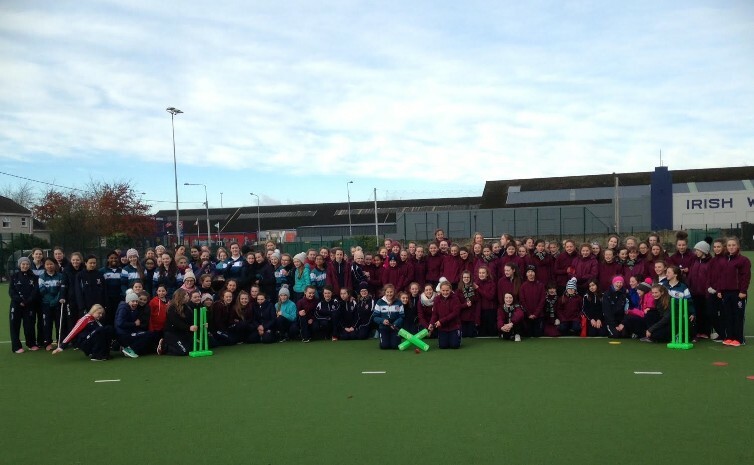 The event, a first for Limerick and Munster Cricket, and was a huge success with 120+ first year girls from Laurel Hill and Castletroy braving a very cold Limerick morning to showcase the skills they have developed during coaching sessions from Munster Cricket RDO Jim Doran. The event, which attracted interest from Cricket Ireland International players, Ciara Metcalfe and Isobel Joyce, saw Laurel Hill crowned champions after 8 hard fought matches between the school teams. Massive thanks to Jim Doran, Cricket Ireland and the Women in Sports Initiative for their respective roles. Such was the success of the tournament that it has been requested that the event be repeated in Spring 2017, perhaps being expanded and who knows, maybe we could even recruit Ciara and Isobel to come down and pass on their skills to the girls!